My genuine dedication to ensuring my clients’ experience as minimal stress as possible along their pathway to Immigration success is reflected in their own words below. As a migrant, I have the utmost respect for Natasa and I have absolutely no hesitation to recommending her as a truly performing migration agent. Natasa has always gone the extra mile and has never been late or refused any kind of assistance before, during or after migration process, in fact Natasa’s assistance saved me in many instances from great stress, additional time and money. I have found Natasa’s work to be ethical and her knowledge to be outstanding. Natasa is able to deliver and organise all tasks requested of her without any problems. The thing that we really liked about you, Natasa, was that you were straight forward. You put cards on the table, didn’t give us any false or untrue information, no unrealistic dreams, you were professional. We did pay Australia Needs You.com to do the job and help us get visas but we got more than that. We felt like Natasa was really happy for us to move to Australia. She cared for us and our family. We could rely on her almost like we were her family. Thank you again. I would love to recommend Australia Needs You.com and your services to anyone who is interested in obtaining an Australian visa. I can say for sure I couldn’t have done without you! I was really impressed with the way Natasa handled things, especially when it looked as though it was going to be impossible for me to obtain my visa. Somehow, she managed to fix the problem. Overall I am very satisfied with the service provided by Australia Needs You.com and with Natasa’s professionalism, her response time and all the effort she put into finding the best solution to various issues that arose during my visa application process. Let me take this opportunity to thank you, Australia Needs You.com for all the efforts and assistance you provided in our successful application. It is a joy for us to work with such dedicated individuals. Thank you, Natasa for all your time and effort. Until next time, we are looking forward in dealing with you again soon. Moving to another country so far away from your home is not a gamble and definitely not a game. Agents have to have knowledge, flexibility, the best team and strong connections. And that is what Natasa Shelley and Australia Needs You.com has. I have recommended Natasa and her agency to every single person I know and I will do so in the future. Thank you is definitely not enough. Natasa, you are a light at the end of a tunnel of confusion based on wrong information, interpretation and the huge amount of documentation needed to finalize correctly. You were a rock every time our strength was failing. Our future was in your hands and you never let us down. Natasa, you made our dreams come true. Thank you for being friendly, patient, supportive and professional at all times, even if it was very early in the morning because of the 10-hour time difference!  I am going to recommend Natasa’s high level of service to my friends and people who are interested in migrating to Australia or New Zealand. Thank you Natasa for your professional and prompt help with my Australian Skills Assessment Application. You helped me so much and speeded up the whole process of the application with your expert advice and verification of the attached documents. I particularly liked the straightforward directions and advice given through Skype. Due to a changing migration system, we had many online Skype conversations with Natasa about really important decisions. We were totally astonished by how promptly Natasa answered all our queries. Even though really turbulent changes occurred in the Australia immigration system, Natasa was able to steer our decisions in the right way to get a sponsored visa. We see Natasa as organised, diligent, responsive and with a spark of kindness rarely seen in professional services. We have no hesitation to refer new people to Natasa. Once again, thank you, so much for your efforts, Natasa! Even when during our application matters became problematic, Natasa did not lose faith and she encouraged us to find the solution. Natasa, we wish to sincerely thank you for your effort and the trustworthiness that you have shown in our visa application case. Without Natasa’s support, trust, positive energy and honest work, it would have been impossible to reach our dream. Natasa was not only thorough and kind, but also very easy to work with, always willing to take the time to discuss our concerns and respond to questions swiftly and especially somebody who you can undoubtedly trust. If we had to pick something that bothered us, we wouldn’t find it. We feel the utmost confidence in recommending Natasa’s immigration services. We are absolutely sure that Natasa saved us at least 6-12 months of time because of her diligent and professional knowledge. Her guidance and attention to detail aided in keeping the whole process pleasant with as little stress as possible. Natasa was always prepared to help in any way possible and responded to our questions almost immediately. We would like to thank the company, Australia Needs You.com, especially Natasa Shelley for a fast, reliable, honest and successful visa application procedure.